Zensational in Kalispell MT - Flowers By Hansen, Inc. When this tall, green and handsome arrangement arrives at someone's home or office, it is destined to create a Zensation! It's so dramatic, so different, and so delightful. 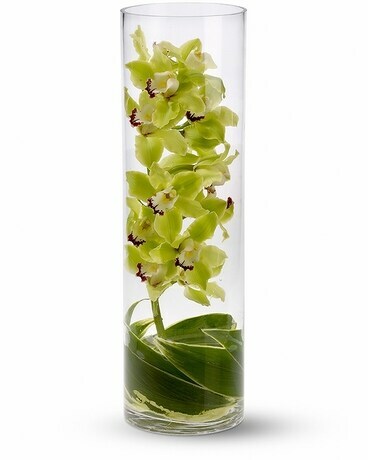 Gorgeous green cymbium orchids and ti leaves stand tall in a striking 19" glass cylinder vase.